There are a couple of things you need to know about me: I am not a political animal and I do not watch television. I watch streaming, via Netflix or Amazon, but I do not watch broadcast television or cable TV. I’m usually a season or more behind in even knowing what’s out there. Currently, I’m watching Ken Burns’ “The Civil War,” which is copyright 1990. On November 19th, 2013 — just next month — it will have been 150 years since the national cemetery at Gettysburg was dedicated. 150 years since Abraham Lincoln gave us a two-minute address that continues to be relevant today. In July, I visited Lincoln’s home in Springfield, Illinois, which is on grounds managed by the National Park Service. 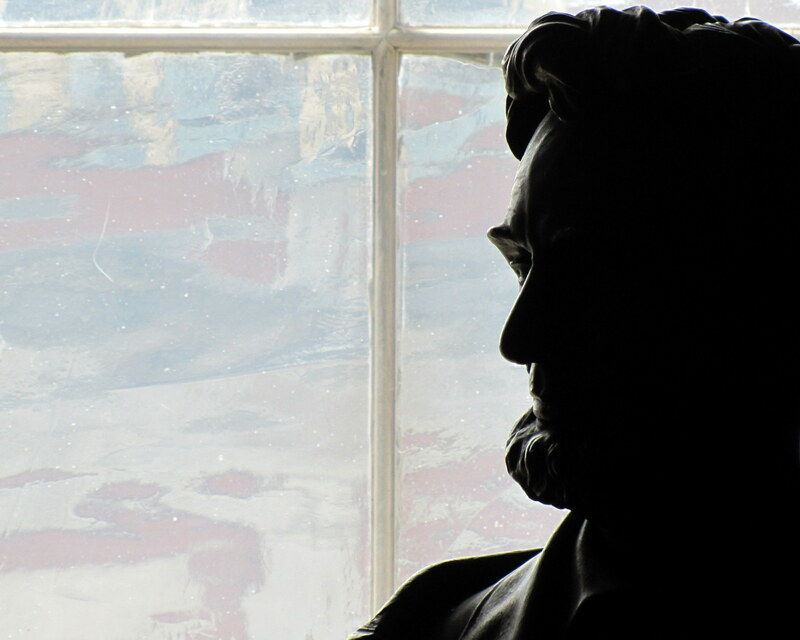 It’s strange visiting a place like that, knowing what would happen in the Lincolns’ future — that he would be elected President, that one of their sons would die in Washington, that the President himself would be assassinated there and never return to the only house he ever owned…. And behind all of that is the huge and bloody stage of the American Civil War. In 1959, the last Civil War veteran died, and with him, I think, went our last connection to the domestic war that slaughtered 600,000 men– some of whom had gone to school together, or were relatives of each other. Without a Civil War veteran to remind us of the high price we paid for a continued union of States, we have fallen back to the shrill rhetoric and dearth of compromise that led up to secession and war. These days I see, and I hear, the similar passion and fervor that led this nation down that path. We are a nation of related strangers. Our forefathers all came to this country from somewhere. This is what makes us fabulous. My adopted grandfather’s family can be traced back to the 1700’s in what is now Germany; they fought in the Revolutionary War, and they fought in the Civil War (Pickett’s Charge, to be exact). What makes this nation work is its design — the three branches of government, and the checks and balances it’s supposed to have. Has the design evolved over the years? Of course it has. Is it perfect? Oh hell no. We still have the right to vote (yeah, let’s not get into that whole Electoral College thing right now); we can still call or write to our elected officials (yeah, let’s not get into that whole are-they-gonna-bother-to-listen-to-me thing right now). We can still participate in the system; we can still influence and change the system, if we choose to, and even in choosing not to influence and participate, we have the freedom of choosing. That’s pretty crazy cool, I think.